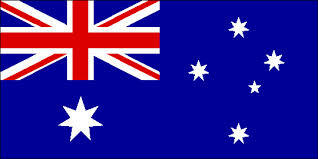 Australia's central bank left rates on hold yesterday as was generally expected. The RBA continues to be quite hawkish as well as relatively optimistic (perhaps too optimistic) on the nation's economy. Given the "cash rate" is at historical lows at 2.75% (see post from November on the topic), the board wants to leave room for further action should the need arise (there are only so many "bullets" left before you hit zero). Australia's interbank rates (to the extent any of the quotes are real) seem to be following the RBA rates to new lows as well. The Guardian: - The Reserve Bank of Australia (RBA) has kept the cash rate unchanged at the record low of 2.75% at its June board meeting, saying that rate cuts in the past 18 months are helping the economy. The RBA last cut the cash rate by a quarter of a percentage point at its May meeting, after making four cuts in 2012. In a statement accompanying the decision, RBA governor Glenn Stevens said household spending had been helped by lower interest rates. "Further effects can be expected over time," Stevens said on Tuesday. "The pace of borrowing has thus far remained relatively subdued, though recently there have been some signs of increased demand for finance by households. "The board judged that the easier financial conditions now in place will contribute to a strengthening of growth over time." That's quite an optimistic view, particularly given some of the headwinds facing Australia's economy after a long period of strong growth. The Sydney Morning Herald: - Clouds are massing on Australia's economic horizon after new data showed a sharper-than-expected slowdown in GDP growth over the year to March. The national economy, which is in its 22nd consecutive year of expansion, grew 0.6 per cent in the first quarter of 2013, taking the growth for the year to 2.5 per cent, according to figures from the Australian Bureau of Statistics. But economists' predictions had forecast gross domestic product (GDP) growth of 0.8 per cent for the March quarter and year-on-year growth of 2.7 per cent. So far the markets are not buying RBA's optimism. Concerns over the economy combined with a general risk-off sentiment sent the Australian dollar to a multi-year low of 0.95 today.